Education secretary Michael Gove’s nine-year-old daughter has been withdrawn from her ballet classes over fears she was becoming worried about her weight. So how exactly do you tackle such a touchy subject with children? Times columnist Sarah Vine, who is married to England’s education secretary, revealed this week that their daughter refused to eat on the day of her ballet classes and insisted on wearing a smaller leotard. The self-consciousness of a pre-teen is something many parents are only too aware of and the dreaded question of “Am I too fat?” can leave many lost for words. Even a carefully phrased response can provoke prolonged silences or slammed doors. 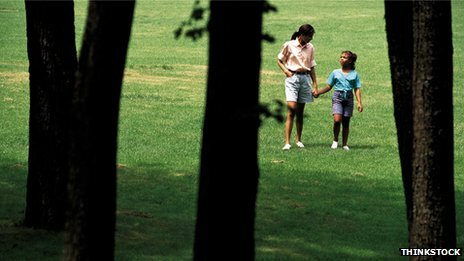 Fears that focusing attention on a child’s size might make them overly self-conscious, cause them to obsess about their appearance, or even lead to an eating disorder may cause parents to shy away from the topic. There is no single strategy, but there are “common sense” ways to deal with such a touchy issue. Some parents think that the less said the better but there is no barrier to talking about things with your child, says Andrew Hill, professor of medical psychology at the University of Leeds’s institute of health sciences. 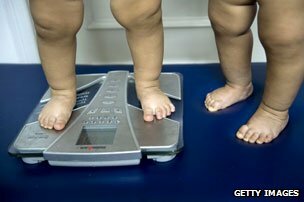 A child’s weight concerns, he says, often fluctuate and can be temporary. Girls of a particular age – coming up to puberty – do compare themselves with others in the class, he says. The most rapid change for a girl’s body is growth associated with puberty and there could be massive differences within a single class. Girls, on average, double the amount of body fat as they go through puberty. Boys’ body composition changes, but in a different way: they tend to put on more muscle, he says. A parent should not overreact if a child asks them whether they are fat, says Paul Gately, professor of exercise and obesity at Leeds Metropolitan University. “There are parents who are absolutely gobsmacked. It’s the dreaded question that’s come when they are not prepared. But their reaction might cause a child to think “what have I unleashed?” says Gately. Many parents, he says, will “stick their heads in the sand” or tell a child there isn’t a problem. But, he says, if there is a problem, the child will get teased in school and end up mistrusting the parent. “The teasing and bullying of overweight children is endemic in our schools,” he says. “If a child has mentioned it, the issue is not going to go away. Parents need to have an open-ended, conversations in which the children do the talking. The child needs to understand it from their perspective,” he says. With child obesity on the rise, parents who have concerns that their child might be overweight could prepare in advance for the conversation that will inevitably come, says Gately, who runsweight management services in partnerships with local authorities. “Parents will benefit because they won’t be in a responsive situation,” he says. Parents should modify their environment in advance to make it more healthy, so when the question comes up, they can say that the whole family has been living a healthier lifestyle, and this needs to be built on. Emphasise the entire family’s eating and exercise habits and commit to change – but not dramatic ones, says Gately. Mary George from eating disorder charity Beat says that if a parent is worried about a child eating too much or, at the other end of the scale, too little, then seek advice from a GP or nurse. If parents are worried this might have an effect on a child’s self-esteem, “there are ways around it – say the whole family is going for a general check-up”. The key is to guide and not try to control your child’s eating habits, she says. Research shows that a child is affected by their mother’s self-image and the way she treats food, says psychologist and writer Amanda Hills. In the US, this has been referred to as “thinheritance”. Last September, the start of the new school year was greeted with reports of a dramatic rise in demand for extra-large uniforms for primary school pupils. It came as no surprise to Carol. Her two nieces were wearing size 14 skirts by the age of 11, the average size worn by a grown woman in the UK. If a child is concerned about their weight, parents need to create a situation in which children are “active learners”, says Andrew Hill, in which they learn from their own mistakes. 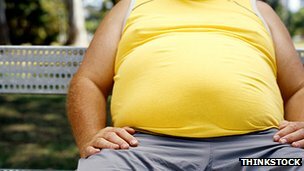 They need to build self-confidence and self-competence, and parents need to give them the opportunity to go out with their friends and exercise – rather than focusing on their weight, he says. Beat’s Mary George warns against giving children low-fat food. “Children need a greater percentage of fat in their diet than adults,” she says.